This book seeks to clarify the concept of irony and its relation to moral commitment. Frazier provides a discussion of the contrasting accounts of Richard Rorty and Soren Kierkegaard. He argues that, while Rorty's position is much more defensible and thoughtful than his detractors acknowledge, it is surprisingly more parochial than Kierkegaard's. 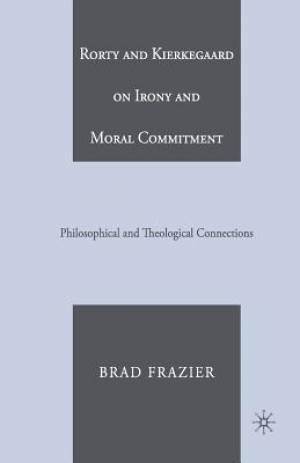 Rorty and Kierkegaard on Irony and Moral Commitment by Brad Frazier was published by Palgrave Macmillan in January 2016. The ISBN for Rorty and Kierkegaard on Irony and Moral Commitment is 9781349536603. Be the first to review Rorty and Kierkegaard on Irony and Moral Commitment! Got a question? No problem! Just click here to ask us about Rorty and Kierkegaard on Irony and Moral Commitment.